Meeting the shortage of medical technologist, our AI is learning from the experience of medical experts in Taiwan CDC to bring expert-level precision and speed to the diagnostic process of Malaria in Taiwan. Taiwan has been on the list of Malaria-eradicated regions since 1965. Since then, there have been around 10 – 30 malaria cases each year, all of which are imported cases, as reported by Taiwan CDC (Centers for Disease Control). Due to the declining number of Malaria cases, there have been fewer medical laboratory technologists specialized in Malaria diagnosis, while the training of new experts is becoming increasingly difficult. It is said that the most experienced medical laboratory technologist in Taiwan CDC, who has been in charge of Taiwan’s Malaria diagnosis for years, is retiring soon. There was never a single misdiagnosed case in her hand. She is concerned that her experience and knowledge might not be able to pass on to the future generations. Thanks to the recent advancement of artificial intelligence, computers now have the potential to learn from her experience of medical expertise and lead a pivotal role in the Malaria diagnostic process. We are now getting the ball rolling by collaborating with Taiwan CDC on the Malaria Diagnostics Project to leverage AI to improve the diagnosis process of Malaria. Malaria is a critical global health issue. As statistics by WHO shows, more than 200 million people suffered from Malaria in 2016, with half a million people dying each year. A lot of global resources have been invested in the goal of eradicating Malaria. We hope our project can make contributions to this vision. Malaria is caused by Plasmodium parasites, which are transmitted via the bites of infected female Anopheles mosquitoes. When an infected mosquito bites you, parasites are released into your bloodstream and dwell in red blood cells. Since there are several different species of Plasmodium parasites and each requires specific medications, early and accurate diagnosis of malaria is essential for both rapid and effective disease management. Once a patient is suspected to have Malaria in a hospital, his or her blood samples are sent to Taiwan CDC for notification and diagnosis. 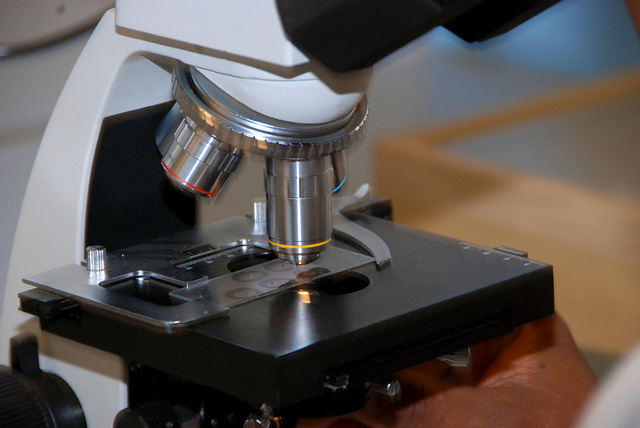 An experienced medical laboratory technologist in CDC will conduct a fast diagnosis by microscopic examination. Results of status of infection, and the species of parasites found will be reported back to the hospital to initiate prompt and accurate treatment. At the same time nucleic acid amplification tests will be performed for final diagnosis. Hospitals will receive the final diagnostic results from CDC after a while, and adjust their treatment plan accordingly. For decades, researchers have been working on the problem of computer vision for automated Malaria detection and diagnosis. Traditionally, researchers tackle this problem by image analysis algorithms and supervised machine learning methods. However, these approaches require a huge amount of manual labor to carry out data collection and data annotation. 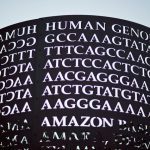 It requires lots of clinical data — which is scarce and private –, and familiarity with microbiologic knowledge — which relies on the experience of medical experts — to generate enough annotated data for such algorithms. With the goal of improving Malaria diagnosis process in mind, we designed a pipeline to perform data innovation for Malaria blood smear images. An efficient unsupervised clustering algorithm was built to differentiate between infected red blood cells from un-infected ones. Candidates of infected blobs will be verified and further labeled by medical experts to generate annotated data for building AI medical technologist in phase 2. Above figure shows the clustering of segmented blobs to differentiate infected red blood cells from non-infected ones. Following figures demonstrate the initial results of our algorithm of red blood cells segmentation and Malaria autodetection. To date, tremendous progress has been made by researchers on identifying the existence and severity of Malaria infection from microscopic images of blood smears. However, machines are still not capable of classifying Malaria species and stages based on microscopic images. Above figure introduces the different species and stages of Malaria parasites. Therefore, to make AI medical technologist capable of classifying the species and stages of Malaria parasites, we are learning from the experience and expertise of medical experts in Taiwan CDC. Medical experts will review our initial segmentation results from phase 1 and teach the machine where needs to be improved. A deep learning model will be constructed to learn from their experience, to classify Malaria parasites, and to effectively contribute to the Malaria diagnosis process as AI medical technologist. One of Ailab.tw’s mission is to leverage Taiwan’s advantage in medicine to solve the hardest problem and to fight against disease. Taiwan’s National Health Insurance reform took place in 1995 and has been aggregating comprehensive medical data for more than 20 years. Digitalized medical data in standard format has become a driving force to boost big data and deep learning application and make solutions a reality in the medical field. With labelled data and expert knowledge from doctor, we are closer to solve this problem and make Malaria diagnosis more efficient and accurate. Join us to work with our researchers and doctors at Ailabs.tw, we are hiring!